Now, I’m not a big fan of Chris, so I find the aforementioned verbal assault quite pleasing . . . but CDL doesn’t play favorites (okay, so we might a little), so don’t let our biases influence your love or hatred for the R&B star. *Sigh* Chris Brown, I think you should find another way to restore you image. This. Isn’t. Working. We do understand that Punk’s comment was unnecessary, and childish in and of itself, but perhaps you could have let it slide? 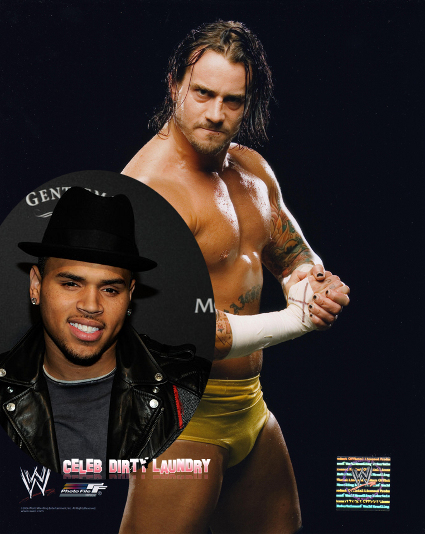 Punk has yet to respond to Chris Brown’s tweet. It would be best if he put on his big boy pants and forgot about it, but something tells me Punk isn’t going to stay silent for long. What do you think of this latest celeb Twitter war? Do you like Twitter wars? I think they’re enthralling! Does that make me a bad person?